Happy Mother's Day this weekend (at least in the United States). I've become a bit too fascinated with holidays and yearly observations recognized in Victorian-era America. Naturally, I had to look into Mother's Day. 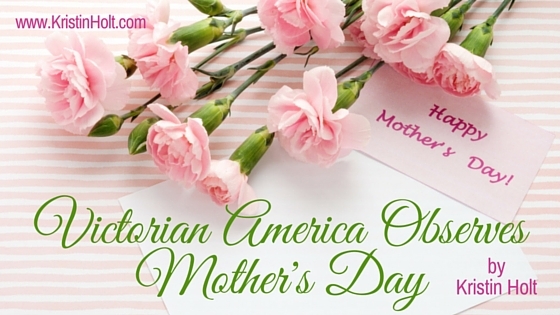 In the U.S.A., Mother's Day (as we know it) wasn't officially declared until 1908, making is solidly Edwardian rather than Victorian. Because carnations were Anna Jarvis's mother's favorite, the white blossoms were declared the occasion-specific flower. 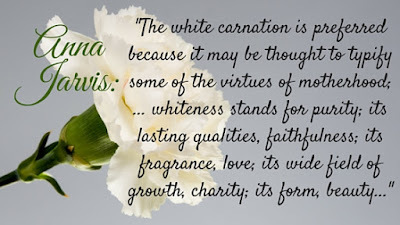 But when white grew too scarce to meet the demand, florists convinced customers that pink or red carnations were for living mothers and white were to remember the deceased. In the last decades of the 19th century, localized celebrations and recognition of Mother's Day occurred in the U.S. and closely resembled today's observances: small handmade gifts, flowers for mother, church attendance, and quiet in-home recognition of love for mother. 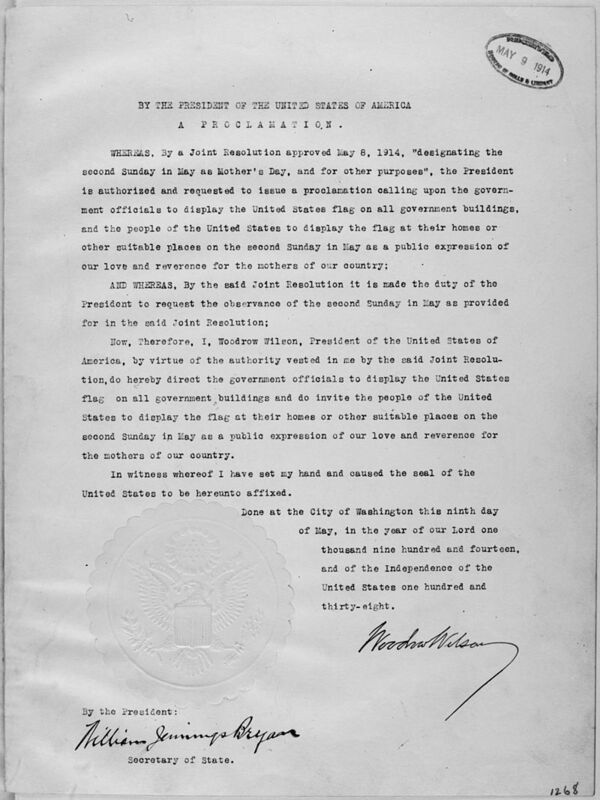 President Woodrow Wilson issued a Presidential Proclamation declaring the first Mother's Day (May 9, 1914). What are your family's favorite Mother's Day traditions? Hi! I'm Kristin Holt. 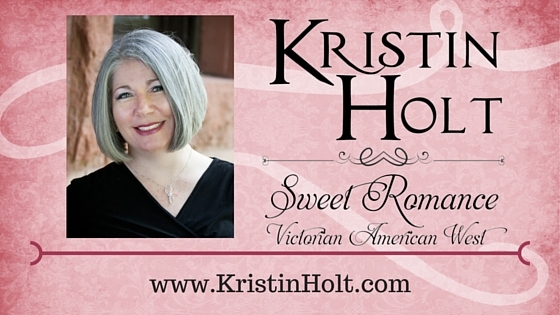 I write Sweet Romance (Rated G and PG) set in the Victorian American West. 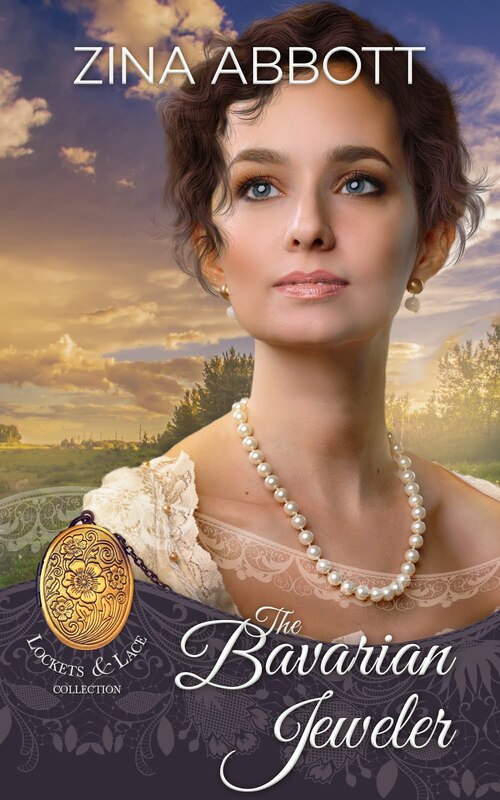 I blog about all historical subjects surrounding my favorite times and places in America's past, including nearly a full calendar of articles about holiday observances in the American Victorian era. 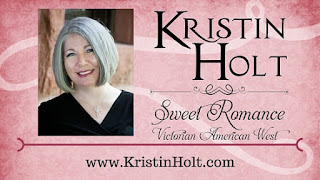 My recent post Victorian America Celebrates Arbor Day contains about one dozen links at the bottom to the other holidays, some of which have appeared here on Sweet Americana Sweethearts. 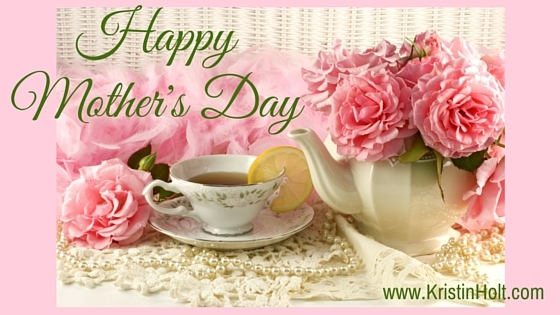 Hi Kristin, Thanks for the info on the start of Mother's Day and the gorgeous images. I'll be celebrating the day with my 92 year old mom on Sunday. Thank you, Doris/Angela! I so enjoy looking at Victorian observations of holidays. 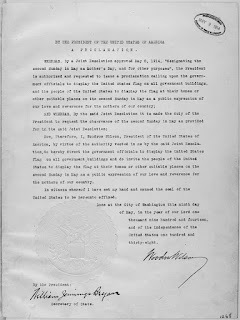 I like knowing how things began as it gives value to today's celebrations. You always believed in me. You faithfully guided me and prayed me through the years! You kissed away so much pain. You listen and understood and wiped away my tears. Oh, a mother is a servant. She’s a picture of the King. She’s the one who does the dishes and keeps the house so clean. What a beautiful gift to your mother, Caryl McAdoo. A treasure she took with her. =) Thank you so much for sharing the love of your mother with us as well as your heartfelt lyrics. I don't think we ever stop missing our mothers. It's a precious bond that survives well beyond our lifetimes. Paste Jewelry - Looking Good on Any Budget!